The love of my life, Juan, was killed on 9/23/09. He was a Cancer and I'm a Capricorn. I miss him so much. In the dream I had about him last night, it was as if he were alive. I even asked him if he was alive, and he answered that he was. He also told me that he had to fake his death for his own protection. My best friend Luis died the day I got married, on 4/2/05. My best friend Luis and the love of my life Juan were cousins. I'm very confused because I had a vivid dream about Luis three months after he died in which he told me the same thing - that he had had to fake his death for his own protection. He was shot and killed just as Juan was shot and killed. These men meant so much to me; I can't seem to let go. I think about them both constantly. I drive from place to place, not knowing how I got there because all I do is think about them. Juan knew how much I loved him but he never listened when I told him to stop selling drugs. Please help me make sense of these dreams. It can be difficult to come to terms with the loss of a loved one under the best of circumstances; when they die unexpectedly, it's usually much harder. On top of this, both your best friend and your husband lost their lives in a violent manner and at young ages, which will make accepting their deaths triply challenging. Your dreams verify that even though they lost their lives physically, their spirits are very much alive. Since Luis and Juan both told you that they had to fake their deaths for protection, it's natural to wonder if they are still alive and hiding somewhere. In truth, however, these dreams simply reflect your own hopes that they would somehow escape unharmed from the dangerous endeavors they chose to engage in. On a metaphysical level, they are both alive and well on the spirit plane. Their attempts to reach you through dreams and other signs are their way of trying to reassure you that they are all right. It's the energy of the love you shared that draws them back to comfort you. Though their existence has taken a different form, the connections they feel to you are still very strong. Emotionally and spiritually, the deep bonds between the three of you remain unbroken. Though it's difficult to accept that these two important men in your life now reside in the spirit world, it's wonderful that they can still contact you through your dreams, and that you can contact them as well. When you feel the need to connect with either one of them, there are several things you can do. One of the quickest and most effective ways is to write each of them a letter. Put down all your thoughts, feelings, regrets and requests in the letter, and once it's complete, burn it with the flame of a white candle. This will send your mail to the other side in an instant. Afterwards, sit in meditation for ten or fifteen minutes, just opening your awareness to them. You should hear from them during this time. You can trust the impressions that come into your mind and the answers you receive in response to the questions you ask. If you attempt this ritual a few times and you still hear nothing, you may want to contact a professional medium who can act as a go-between until you become more skilled at connecting with them on your own. The dreams you are having speak to your inability to fully accept the fact that they are gone. As you grow stronger and practice communicating with them on a spiritual level, these dreams should begin to fade. Once they do, they should be replaced by dreams in which the spirits of Juan and Luis can visit you and affirm that they are watching over you and protecting you from the other side. While a traditional psychologist would probably attribute these dreams to denial, I believe you're having them because on some level, you know that these two aren't really dead. I don't mean that they are alive physically; I mean that you know that they are out there somewhere. 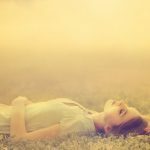 Many people have told me about dreams involving someone who had passed in which the dreamer was puzzled and asked the departed how they could be there talking to them in the dream if they had died. At this point, most spirits do not agree that they are dead. Instead, they say something like, I'm not dead! I'm right here with you! My sense is that these spirits do not mean that they are still alive physically. What they mean is that they continue to exist as much as they ever did. Some spirits say this with a knowing air about them that seems to imply that they know why we are confused and they just want to make sure we know that there is an afterlife, that they are fine, and that in the afterlife, they feel as alive as they did when they were incarnate here on Earth. However, there are spirits who seem to be confused by our confusion because they don't understand why we are perplexed to see them. Imagine that you're dreaming at night, and someone in your dreams says, Aren't you dead? or Are you invisible? or Are you sleeping? You might reply, Uh, noÖI'm right here, silly! Since time is so different in other realms than it is here, many spirits move so quickly from this life into other world endeavors that they quickly become identified with their new state of being. They don't waste any more time thinking about the life they've left behind than we do thinking about whatever we were doing before we were born. Of course, it could be that when these two told you that they faked their deaths, it was because it seems that way to them. On a soul level, perhaps they knew that they had painted themselves into a corner in life, and the only way to truly start over was to do so in another realm. Since they didn't actually die ñ they're as alive as ever where they are ñ it's very much as it would have been if they HAD faked their deaths, which would have required them to leave everything and everyone from their former lives behind. You've been through a lot; I know your heart is broken over these devastating losses. The good news is that these two really are alive in another realm, and they still love you so much that they are going to great lengths to connect with you and let you know that they are still there. They're telling you not to cry anymore because what happened to them is no sadder than it would have been if they had indeed faked their deaths.